I love the warmer months because I can break out my dresses. However, I often fret over whether a dress is casual enough for daytime. I think these dresses can do double-duty– dress them up with heels or make them low-key with a cross-body and cute sandals. And my move to New York is still underway! I’ve booked my one-way plane ticket for next Monday. Time for serious suitcase scrutiny. 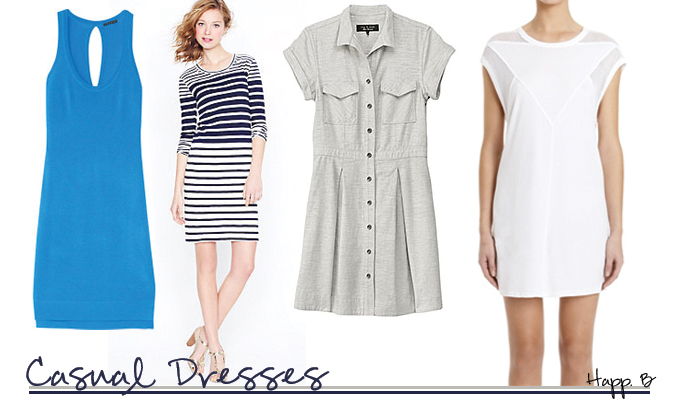 Dresses that are multi-functional are a huge plus. Step Three of Moving to NYC: Wardobe edit.